THANK YOU!!! WE DID IT!! We raised $61,986 for Chabad Aruba! You can still contribute to this campaign. 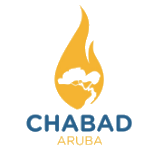 Chabad Aruba is a vibrant Jewish Center that welcomes locals and tourists alike, greatly enhancing Jewish life on the One Happy Island. Rabbi Ahron and Chaya Blasberg along with their children, Menny, Leah and Ariel are celebrating 4 years in Aruba. In the short time they have been there their impact has been immeasurable, changing the face of Jewish life in Aruba forever! What Does Chabad Aruba Do? Chabad aims to strengthen Jewish pride and offers an array of opportunities to celebrate Jewish tradition and beyond. For the Arubian resident, homeowner or tourist no matter your background or affiliation Chabad Aruba is the place where every Jew is family. With weekly Shabbat services and dinners, memorable Holiday celebrations, Kosher food, Torah study sessions, women's programs and children's activities you will be sure to enjoy it all with your family. As 2017 comes to a close we have set our goal to raise $60,000. Thank you for being an integral part of our vision and ensuring our important work can continue to grow. Every donation helps! View All Donors Be the first! I would like to receive news and updates from Chabad Aruba by email. You'll get an email confirmation in a moment. In the meantime, why not give your friends the chance to give?